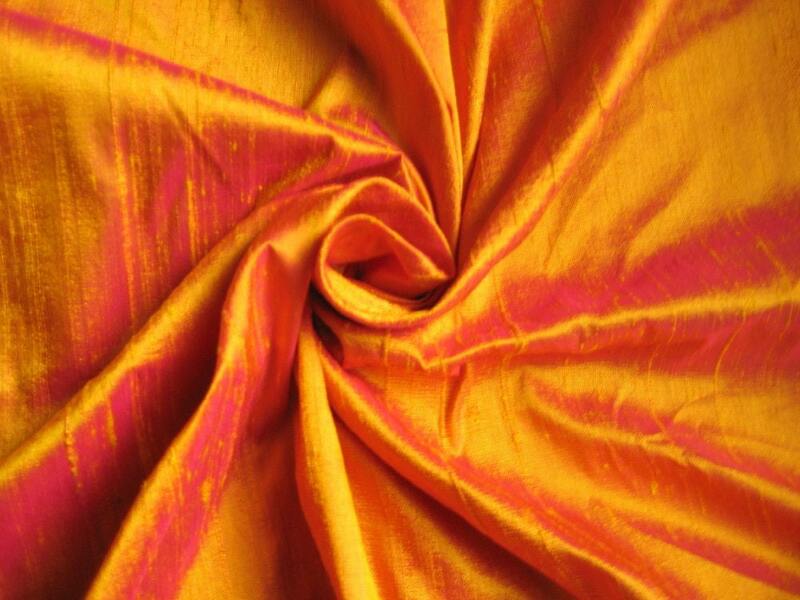 Gold Fuchsia iridescent dupioni silk. Brand New High-End Dupioni Silk Fabric Yardage. 45 inches wide. This is our new iridescent color for 2015! Beautiful color and very fast shipping. Beautiful silk fabric and speedy delivery. AAA+++ seller.